I am constantly making important design decisions for my clients – that is my job and what I am good at. But when it comes to designing for myself my design decisions don’t come as easily. In the past 2 years I’ve spent countless hours researching the perfect website design company, the best photographers, what colors to use, how to design my logo, etc. I was fortunate to have so many amazing projects to work on the past few years that I didn’t have the time to update my website at all. The running joke was that my old website was about as outdated as the perfume Giorgio Beverly Hills! 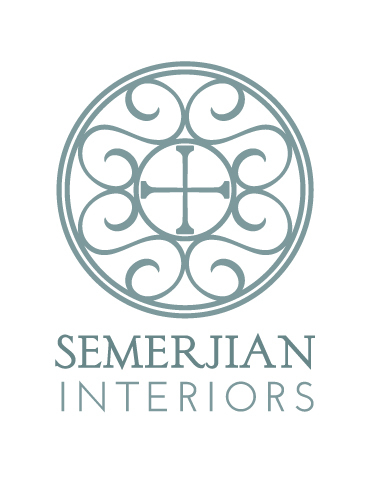 I am excited to FINALLY say that I am ready to go live with www.semerjianinteriors.com! 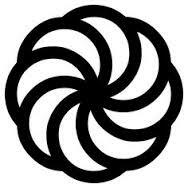 This is the Armenian infinity logo. It is called the “Arevakhatch” which means Sun Cross in Armenian. It is a historical Armenian symbol, dating back to the 5th century and it is the symbol of everlasting, celestial life. It is one of the most common symbols in Armenian architecture, found on churches, tombstones, and other architectural monuments. I am pretty big into symmetry. I wanted a central point in my design, similar to the Armenian Infinity symbol, and I love the organic shape of the circle and it’s repetition. 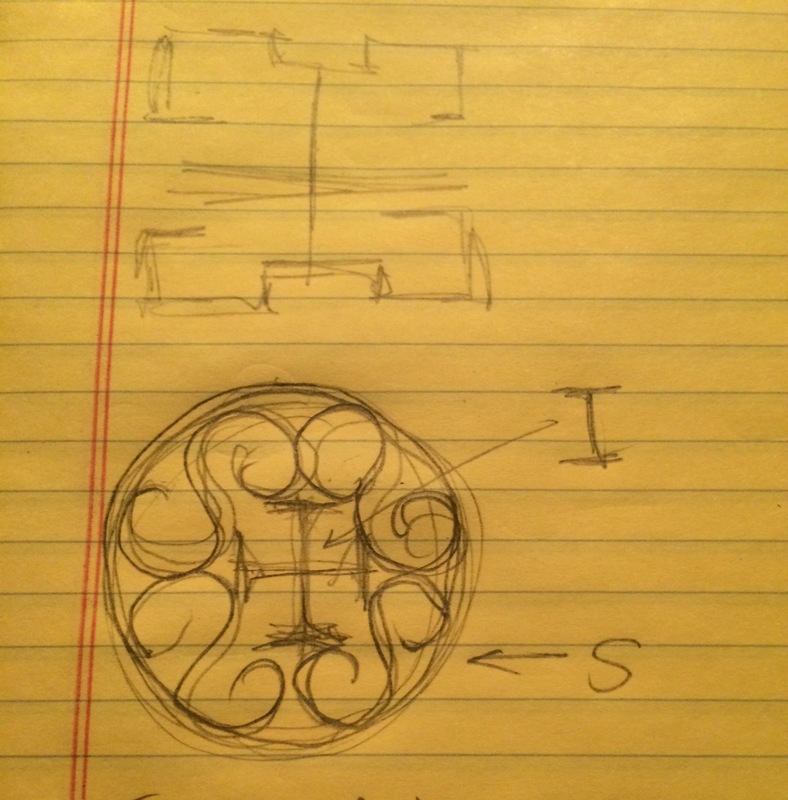 After several different scribbles on a notepad I finally came up with the perfect design. I deliberately had the “I”‘s make a cross symbol. It is representative to me of the Arevakhatch, since it is a religious symbol and the word “khatch” means cross in Armenian. The S shapes scroll the sides of the the I’s. The logo is completely symmetrical, visually pleasing and it is the perfect representation of my business and my culture. This is the drawing I sent to my fabulous web designer Deb Wagner of dstripe.com. 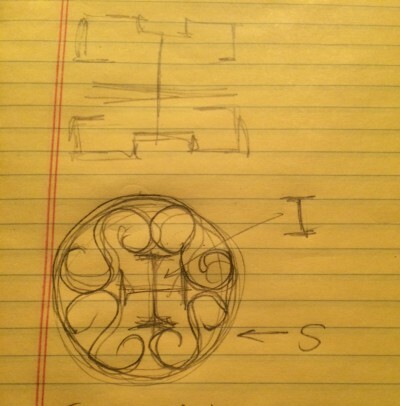 She then worked with me on getting my logo design perfected for my website. Not only is she a talented website designer, she’s a talented graphic designer. After a few rounds, we came up with this logo which I am thrilled with. Deb and I worked with several different color schemes and we felt that the bluish gray color was the perfect tone for the look I was trying to achieve.